Perfect for game day or an extra delicious taco night, my Buffalo Chicken Tacos will have your family and friends cheering and asking for seconds and thirds! 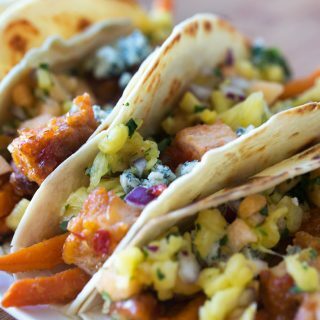 Buffalo Chicken Tacos would be a delicious menu item for your next family night dinner or game day gathering. Just add your favorite toppings and let everyone build their own tacos. Just don’t forget the napkins! 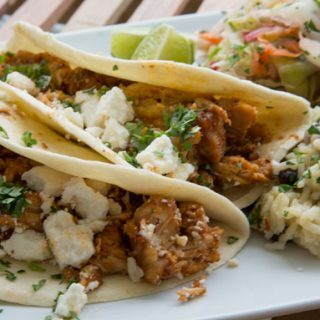 One of my favorite meals growing up was tacos, not only did tacos remind me of Texas but they were a lot of fun to eat and I have to admit they still are fun to eat! 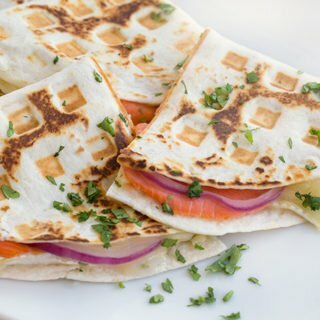 Over the years the lowly taco has gone through many culinary changes with the hard shell crunch taco giving way to the soft flour tortilla version that you find on most restaurant menus. But the changes didn’t stop with the outside of the taco, no that was just the beginning. 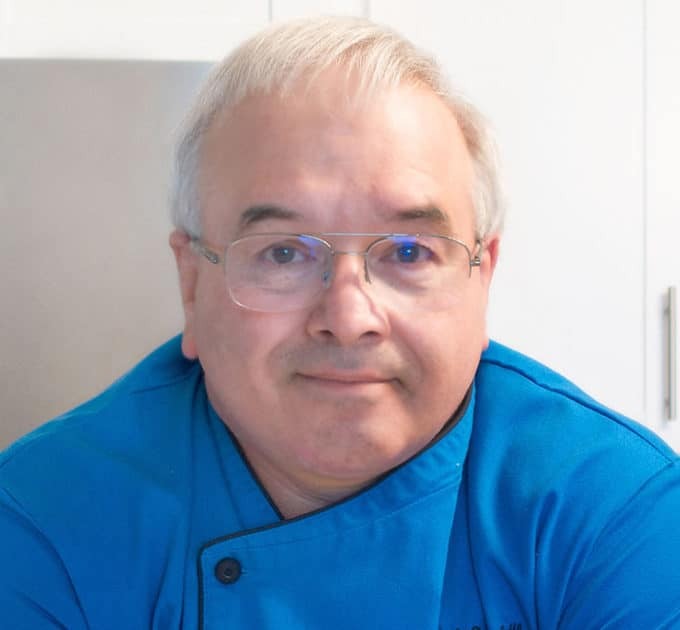 Culinarians around the world began experimenting and adding nontraditional fillings to these little bundles of deliciousness creating a never ending assortment of choices with what has long been regarded as peasant food. They’ve come a long way since my days in Texas, and I for one am very happy to see the changes! It’s no secret that I absolutely love Buffalo Chicken and its found its way into many different dishes that I’ve made. So when I started thinking about tacos, it just seemed natural to use it as a filling. As I thought about the filling I knew I wanted to use bleu cheese with it but took it a little outside the box by adding my bleu cheese dressing to cabbage creating a tangy version of a traditional cole slaw. Many times my additions are also for color and texture and roasted corn fell into that category very easily, and the results were amazingly delicious! So much so that Lisa, who has refused to even touch a taco in all the years I’ve known her devoured one and asked for more. Now that’s when I know I have a winner, and I hope you enjoy these as much as we did! 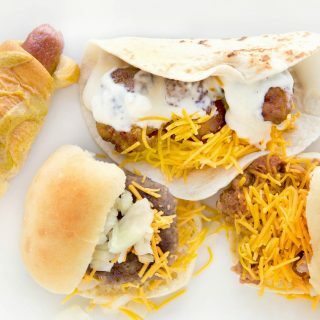 These little beauties will make a great addition to a family taco night or when friends come over to watch the big game. Set up a do it yourself taco bar with all your favorite toppings and let your guests do the rest, just don’t forget the napkins because you’ll find everyone reverting to their childhood as they enjoy their creations, eating with wild abandon and making a little bit of a mess. You can heat this sauce if you want it hotter, but at this temperature the sauce will cling really well to the chicken. If you let the sauce get to hot it will break and separate into an oily mess! You should make this dressing at least one day ahead of time, to let the flavors build, it will taste the best after 48 hours. Mix blue cheese dressing, vinegar, sea salt and black pepper in a small bowl, blending the ingredients completely. Blend cabbage mixture, and bleu cheese dressing, mix well and let sit for 4-6 hours. These look delicious! We are big taco lovers in our home and I have never seen this combo. We will have to try it! 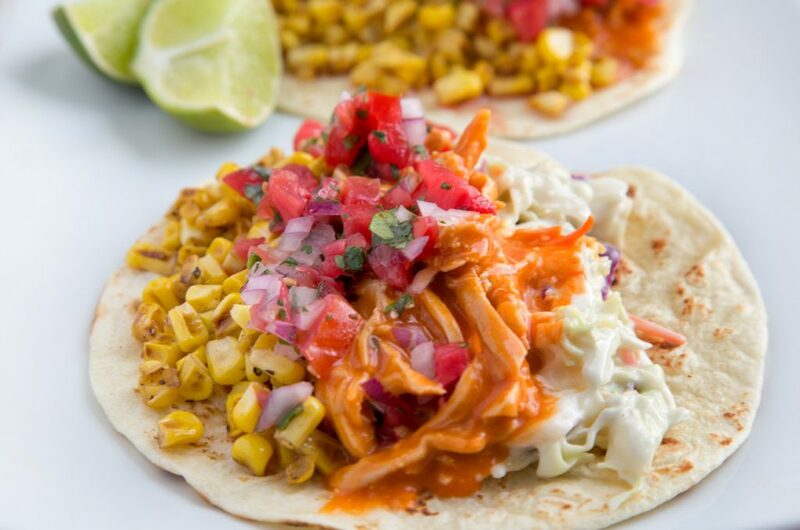 Buffalo chicken is always a favorite here, but we’ve never stuffed our tacos with it. These look so incredible I don’t think the family will be able to wait for Taco Tuesday. We love tacos. However being vegetarians our filling consist of lots of veggies and herbs. This recipe looks interesting, would try out a vegetarian variant. You had me at blue cheese. Can’t wait to give this a go. My family loves anything tacos. These sound right up their alley. This sounds really good. I love blue cheese and I love buffalo anything so I would be all over this. This recipe looks so yummy. I would love to add this recipe to my menu plan. 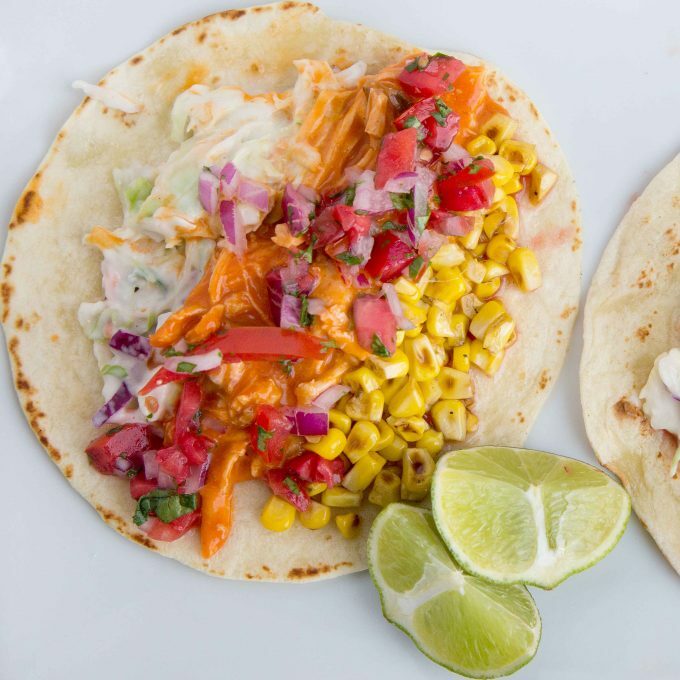 What a unique spin on traditional tacos! These would also be great for game day. Yum! I’m now craving these tacos. The grilled corn and the homemade bleu cheese dressing for the slaw sound divine! I have to make these soon. 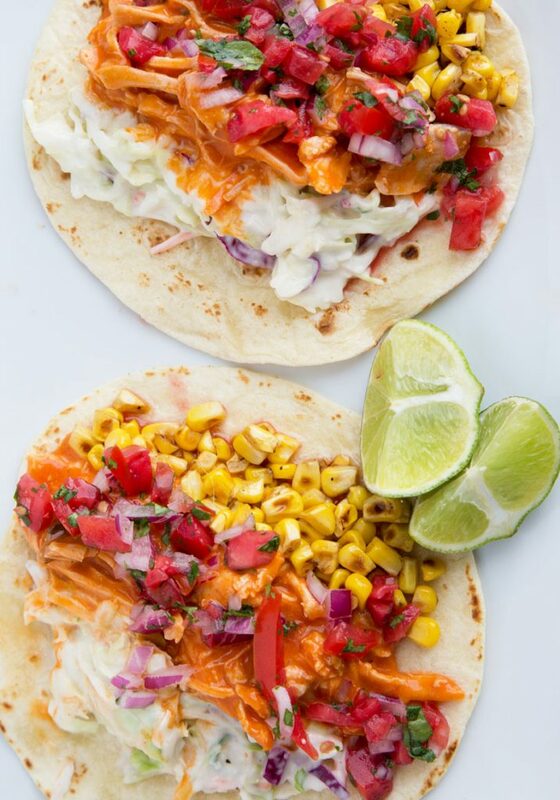 Your buffalo chicken tacos do look amazing and everyone loves a good taco. I will reccomend this to anyone for a game day snack or meal. Mmmm chicken! Now I am going to want some Mexican FOOD todayyy! These look like some tasty tacos. I like my food with a kick, so this is perfect for me. I need to make them for dinner. OMG Dennis! Do you have any idea how much I love buffalo chicken? It is a favourite here. Grabs recipe and runs to grocery store to get all the things to make these right away. YUM. My husband likes buffalo chicken tacos. I’ve never made them at home, though. I will have to try out your recipe for him soon! Oh my gosh is this look so good! Today is Tuesday and because of that we like to do tacos and I think these are what I’m going to make. Tacos overnight not just on Tuesday would be okay with my family. So many ways to make a wonderful taco now. Now, this sounds like a delicious slaw to go with your tacos! I 100% admit that I will try anything with cheese in as well – that always catches my eye. That is the tastiest – and fanciest – looking taco I’ve ever seen. All those flavors sound so wonderful together. Those tacos sound really tasty. Since we have tacos, or some form of Mexican food, every tuesday – I am always looking to change it up. Oh this looks absolutely faboulous! thank you Mary, they really were delicious! We often do “Taco Tuesdays” here, might need to try this for one of those. Looks tasty as usual! I couldn’t stop staring at the pictures, it looks sooo delicious Chef! A great and flavorful meal indeed. Delicious tacos, love that dressing a lot, I will try it. Lovely idea Chef. I do a lot of tacos, and this is a great take. Thanks Minnie, Happy to hear that you liked my take on tacos! 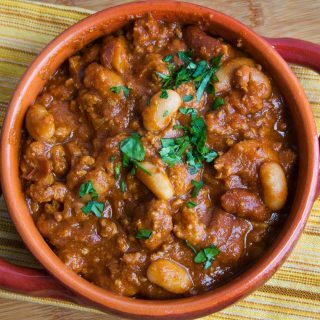 Great recipe, and everything so wonderfully explained. I will have to try it. thank Laura, they were a nice change to our menu! 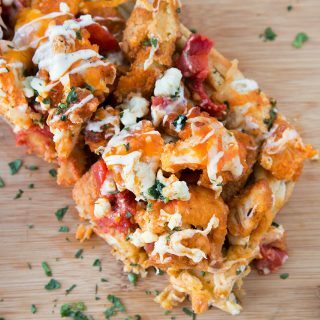 What a fun twist on Buffalo chicken! it seemed like a good idea to me Christine and proved to be oh so delicious!